We will empower you in placing implants through live Implant Training courses, online theory one to one sessions, hands on training and mentorship from experts in the field. We’ll also help you to choose the right solution components to make your cases successful. Empower your practice with Dental Implant Training courses in India at SNS Dental. We provide courses like surgical placement of single implants, multiple implant placement, Full mouth implant with all-on-4 technique, teeth in a day concept, computer guided treatment and many more. You’ll get exposure of hands on training and live implant cases. You’ll get the training from the comfort of your home through online theory sessions. Live Dental Implant training sessions will be at Ahmedabad branch. Our Dental Implant treatment plans, Guides and Implant solutions are designed by US licensed and Board certified Dentists (MSD) and also have a Diplomate status with American Board of Periodontology. Continuous research and academic involvement of team enhances the knowledge and helps to build successful Implant cases. 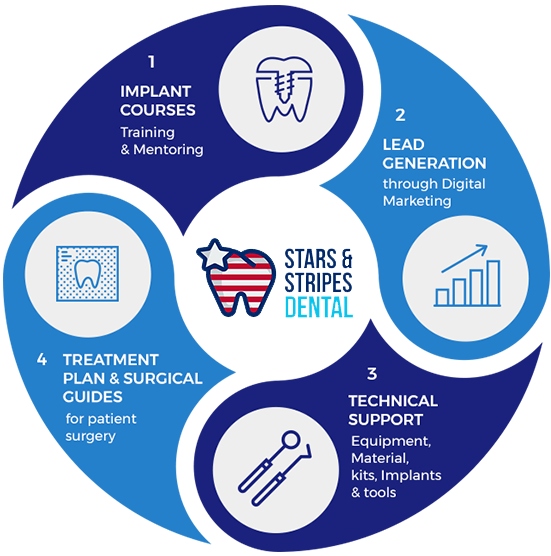 Our team of dental implant surgeons will collaborate with you to build a comprehensive computer guided treatment plan, surgical guides, identify implant parts and kits and related prosthodontics including denture to make your case successful. 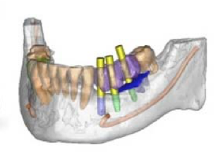 Complete clinical and treatment planning support will help you to make your implant case successful.